Hungry for slice or a fully loaded pie? Well, right across from USC you can grab Rosso's New York-style thin crust pizza or piping hot Lasagna. 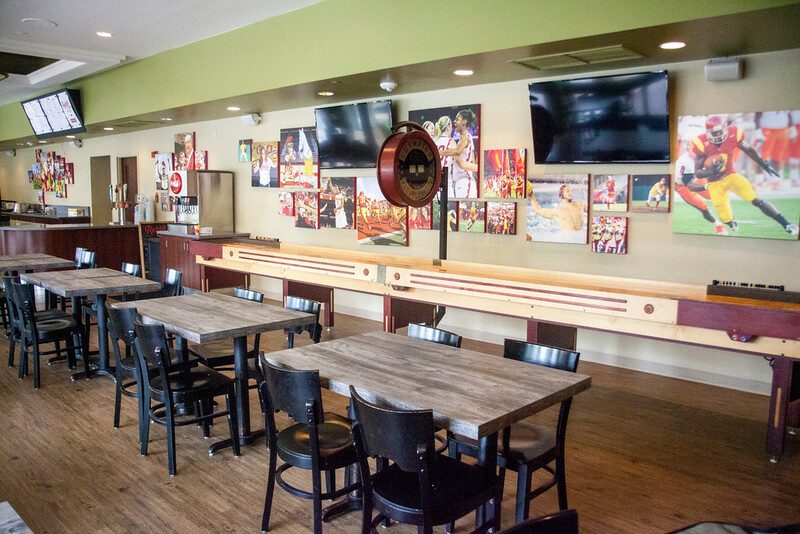 We've got cold soft drinks and beverages and you can watch the game on five flat screens while challenging your roommate on our 20-foot shuffle board. Come on over and enjoy music, sports, games, and great pizza with your friends at Rosso's.